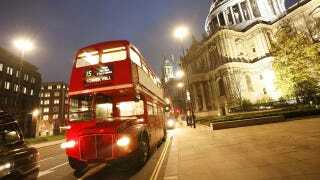 It's one of the most iconic vehicles on London's roads, but the ageing red Routemaster bus, currently serving two routes, is set to be replaced by the modern hybrid "Boris Bus" entirely. The old-style jump-on Routemaster is in use on two "heritage" routes, the number 9 from Kensington High Street to Trafalgar Square and part of the 15 route from Trafalgar Square to Tower Hill. Only five of the buses remain in service, and it looks as though TfL is now looking to phase them out completely, starting with those on the number 9 route from July, leading many to feel the demise of the heritage 15 route will follow shortly. They'll be replaced by the hybrid "Boris buses", which TfL claim have reduced the popularity of the older double deckers.